You guuuuuys!!!! I finally did it, I ordered my little baby chicks! They shipped out at 1 day old and came to my local post office. If y’all didn’t know already baby chicks require some special care. For the first week or 2 of life they need temperatures of between 90 degrees and 95 degrees and then you slowly decrease the temperature by 5 degrees until it is the same as the outside temperature. This means you can’t just throw them in the coop and let them be, they need a special place to live called a brooder. 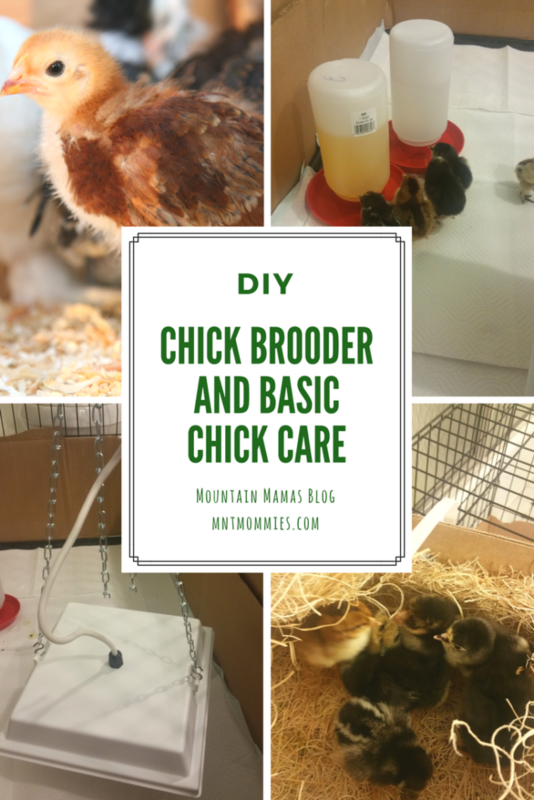 Now what can you make a chick brooder out of? Basically anything. In my search of the interwebs I saw people using kiddie pools, bathtubs, old dressers, storage tubs, and a ton of other creative things. I chose to use a large dog kennel that I already had, which was plenty big for my 7 chicks. 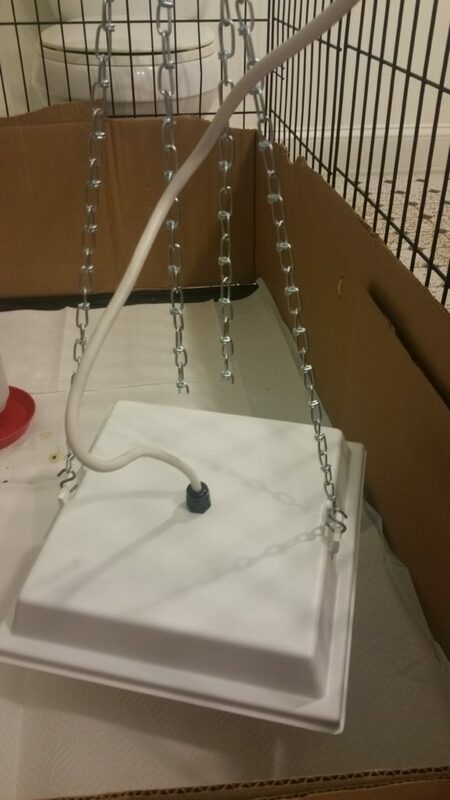 I zip tied some cardboard to the inside perimeter of the kennel to keep the chicks from escaping and to keep wood shavings inside. Now you have your brooder how do you keeps those cute little peepers warm? Many people use a heat lamp. I chose not to go that route because it can get too hot and possibly catch things on fire. I went with this awesome infrared sweeter heater, it provides an even heat and no danger of burns, and hung it from the top of the dog kennel to easily raise when I wanted to start lowering the temperature. How Do I know If My Chicks Are Warm Enough? Great question! You can tell how warm your chicks are by how they are acting, if they are all huddled up under the heater and not moving much they are too cold. If they are as far away from the heater as possible and not going under it (because chicks like to play!) then they are too warm. You can check the temperature in the brooder with a thermometer just to make sure it is right. What Kind of Bedding in my Chick Brooder? 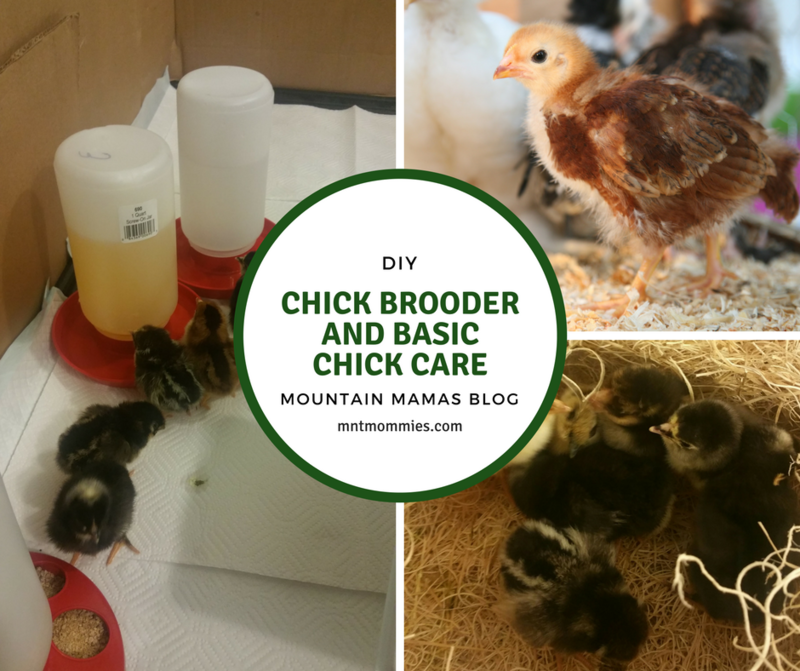 For the first week I chose to use puppy pads in my brooder so that I could easily see what the chicks poos looked like to check for coccidiosis which presents as red tinged or bloody stool. After the first week I switched to wood shavings and replaced them once a week. I also sprinkled in some doo-kashi which takes away pretty much any smell, I seriously love this stuff! If you get them mailed to you like I did be aware that all of your chicks might not make it, especially if they are going a long distance and the once that do make may be a little lethargic. I chose to give them water the first day with added eletrolytes and probiotics to give them a good boost after their journey. 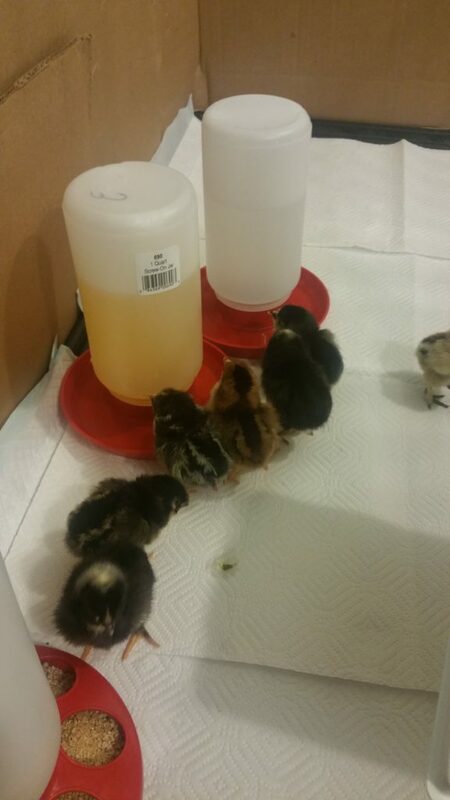 When giving chicks water with a supplement make sure they also have a plain water available and let them choose which one they want. When you get them out of their box make sure you check their vents (their bum for those new to birds) and make sure that it is not clogged with waste. A blocked vent will kill a chick if not treated. If it is blocked take a damp wash cloth and gently wipe the vent clear, do not tug. If it is dried on then run some warm water and gently run it over the chicks vent to help loosen it. Then put a blow dryer on warm and dry your chick off. Here is a great article on 7 common chick illnesses (https://countrysidenetwork.com/daily/poultry/feed-health/how-to-care-for-baby-chicks-with-7-common-illnesses/).